Silence the Rattles! The Daystar D-Ring Washers install on any standard shackle bolt and help silence the rattles of your D-Ring. The polyurethane material acts as an isolator and helps silence the rattles even more than a D-Ring Isolator by itself. Daystar D-Ring Washers are available in Black, Red, Blue, Orange, Purple, White, Yellow, Fluorescent Orange, Fluorescent Green, and Fluorescent Pink and help add some color to any off-road vehicle. 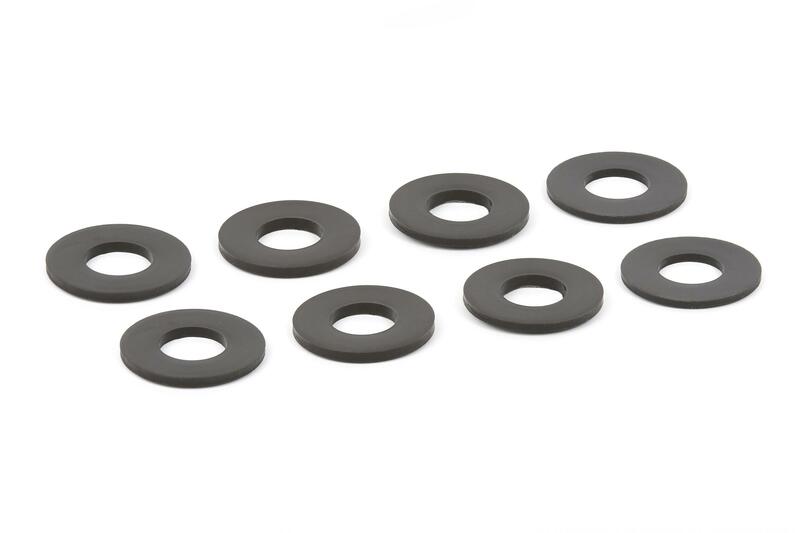 This kit includes 8 non-locking washers.